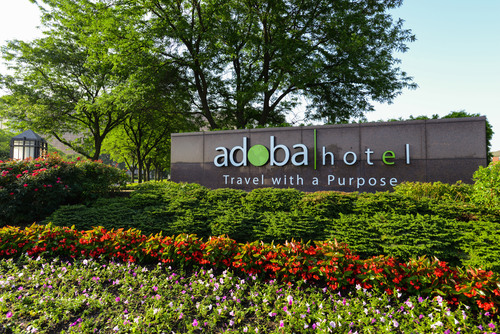 In less than 24 hours, Baby Alex and I will be checking into adoba hotel in Dearborn, MI for a fun blogger event. To say we’re excited is an understatement. Not only are we meeting up with some great blogger friends (and getting to meet some new ones), but we get to stay two nights in one of the best hotels I’ve ever set foot in. And we get to experience some of surrounding Dearborn. We don’t live terribly far away, but we’re just starting to explore some of the great little cities in metro-Detroit. I’m most excited about visiting The Henry Ford Museum and Greenfield Village. I’m hoping to incorporate a few trips there into our homeschool plans for this year. tour of The Henry Ford Museum and Greenfield Village. I think we’re going to be pretty busy! You can follow all of the fun by following #EcoTravelwithadoba on Instagram, Twitter, and Facebook. And here’s a fun little announcement, this is actually going to be the very first event that we’ll be broadcasting on the social media channels for our new site, To Simply Travel. Be sure to head on over and follow us so that you won’t miss any of the action! It’s going to be fun! See you then :).